This book may be used to simply entertain, support or reject positions or claims made by you in your defense of a position or to attack the credibility of someone that you wish to challenge. The author sincerely believes that a good quotation, timely and to the point, can do a great deal to influence a situation or position that might otherwise go unnoticed or not supported. This is a strong statement but the author believes that it happens all the time at all levels of meetings and conversations. It will broaden your thoughts about what you BELIEVE and don’t believe! It will strengthen your SUPPORT or REJECTION on the thoughts of others! It will ease you into developing your OWN PERSONAL philosophy about life and other things! If you use an APPROPRIATE quotation in the RIGHT PLACE at the RIGHT TIME, people will think you are probably a little smarter than you actually are! 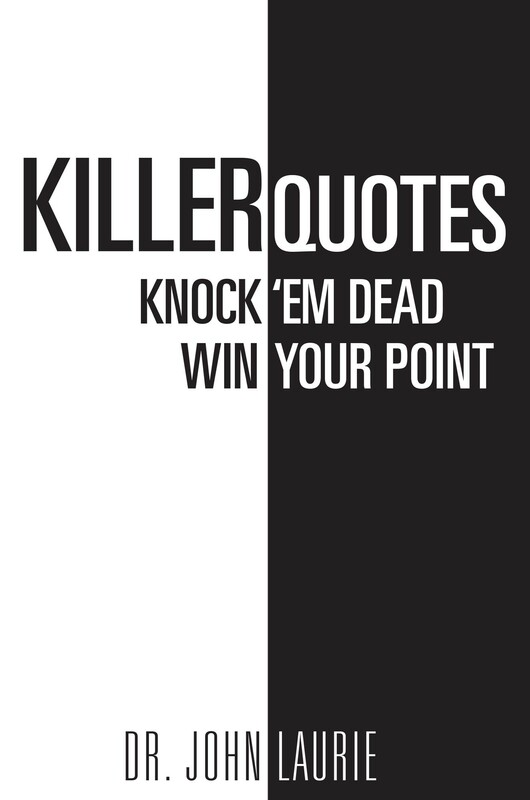 Anyone who loves to read quotations for fun. Business persons who are often requested to defend their position or attack someone else with a powerful quotation. Professional business leaders working to improve their acceptance of points of his/her speech, letters or memos. High school/college students searching for persuasive material, especially in forensics and debate. Business executives looking for a great gift for his/her team.